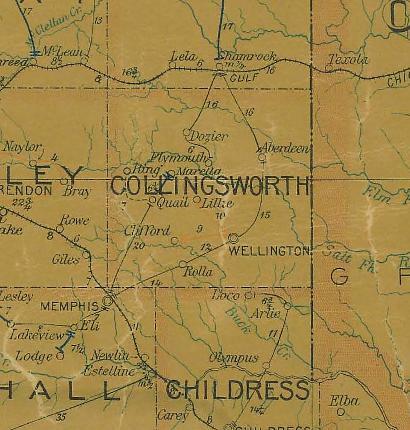 Collingsworth County made organizing school districts a priority in the 1890s and Rolla was on of 39 throughout the county. While there are no population figures available, Rolla did have a post office from 1894 until 1910. After that date, mail was routed through Wellington. Rolla did have a community church and a brick schoolhouse, however no dates or photographs are available. The village managed to stay afloat through the Great Depression and the postwar years.